Documentary with dramatic reenactments with actors to describe what dropping the bomb on Hiroshima was like. A crew digs up all of the old Atari 2600 game cartridges of "E.T. the Extra-Terrestrial" that were tossed into a landfill in the 1980s. Solid entertainment to novices, nothing special for experts. Okay, I love to get caught up in Oscar time. Yes, it's arbitrary and yes it has a muddy history, but it's fun and it shapes legacies and future great movies. 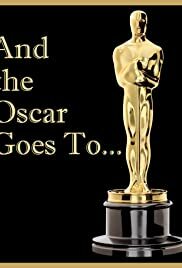 And The Oscar Goes To is directed by Oscar winning director Rob Epstein for his two 80s documentaries as well as his co-director on one of them, who unfortunately didn't share a statue, Jeffrey Friedman. I figured it would be worthwhile, and it is, but it only skims the surface. What can you do in an hour and a half though? It has a small selection of movie highlights to choose from and it sticks with them throughout. At the very least - the documentary is specific, as it could result in something overly broad. There's anecdotes, but without real insight. Naturally, there's most focus on actors, and it touches on all the natural points in history and runs through the categories, giving 10 minutes or so to the other ones. It's mostly about the experience of winning an Oscar and with its archive of clips, it certainly captures several nights of excitement. It's at least good for the behind the scenes footage that's otherwise lost in the ether. Solid entertainment, but nothing special to experts.